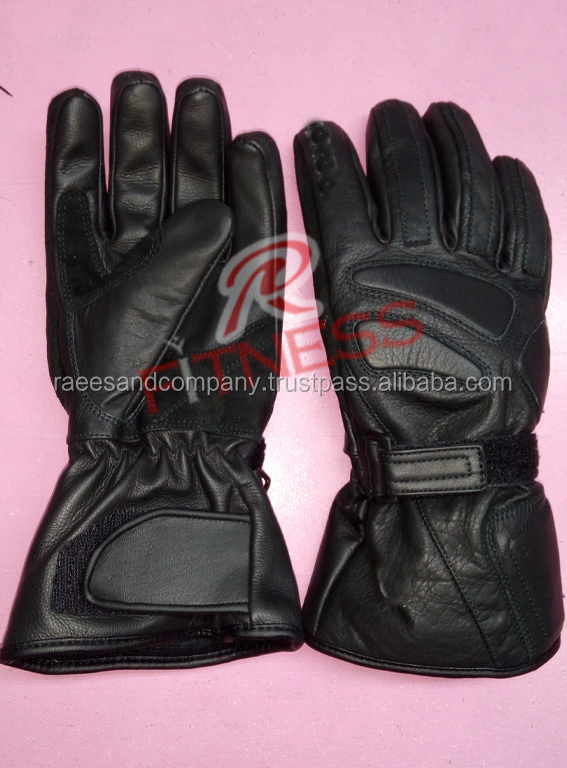 We are offering Motorbike / Motorcross & Leather Gloves & 100% Quality Guranteed. 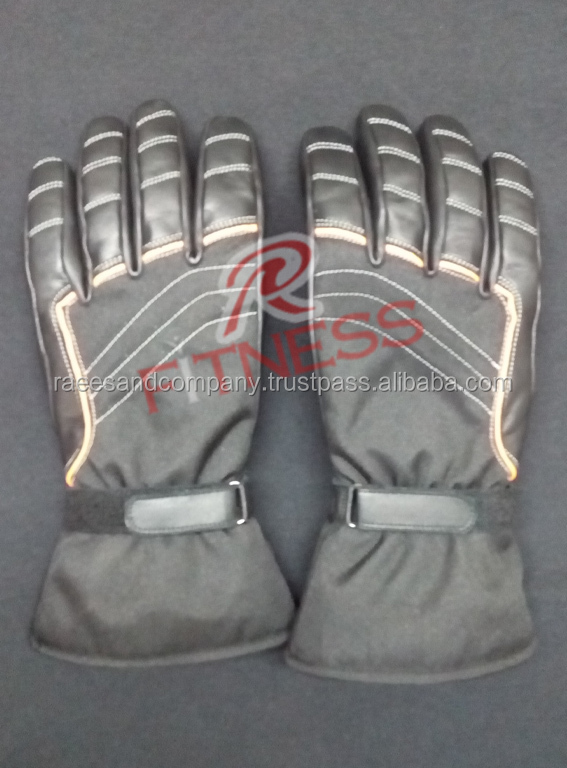 Amara, Neoprine, Cordura Fabric or Mesh , and also water proof gloves. 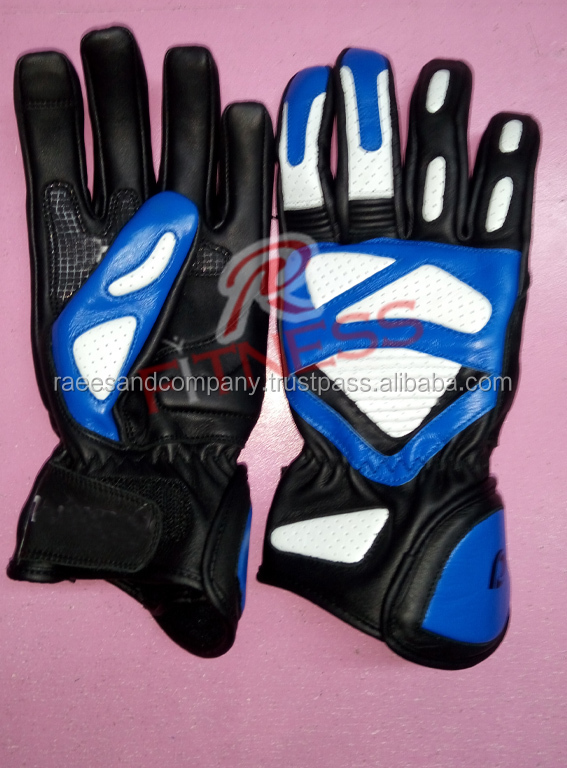 and printed steel armours for motorbike gloves, sublimated colourful motocross gloves, Fashion Gloves for men & Women. 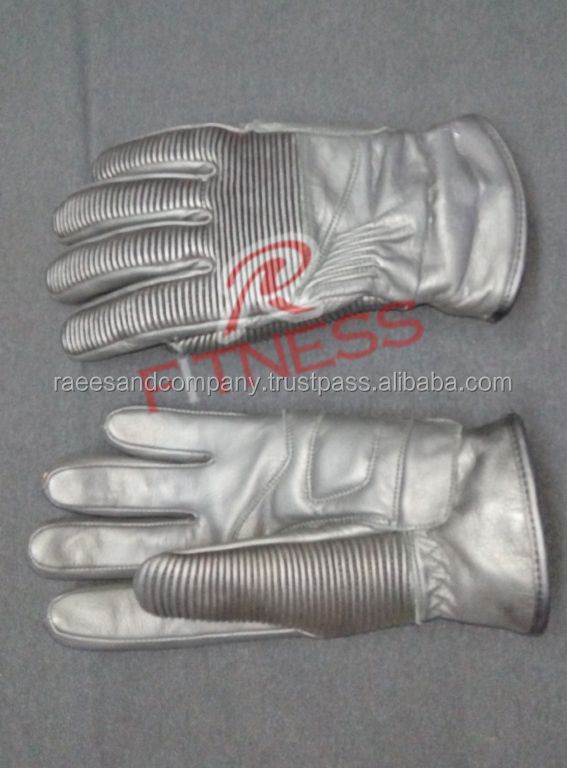 For Motorbike/Motocross gloves stainless steel armour , eva foam padding & nickles for kunckles protection during crash. 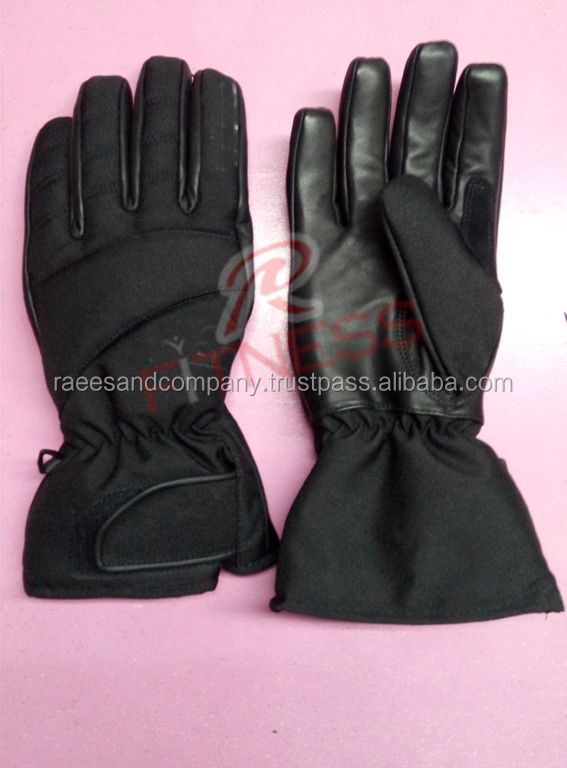 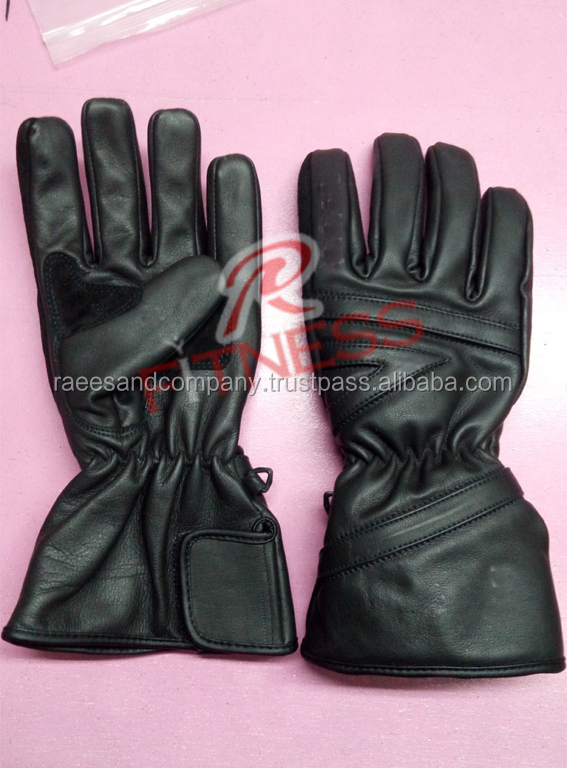 For fashion gloves we offer leather or other fabrics with warm & soft fleece linning. 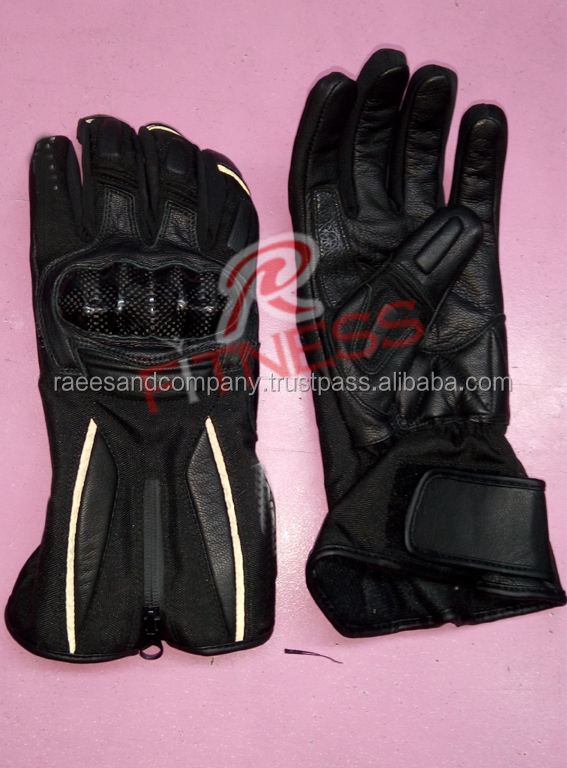 All the gloves are stitched with high quality nylon thread for durable use. 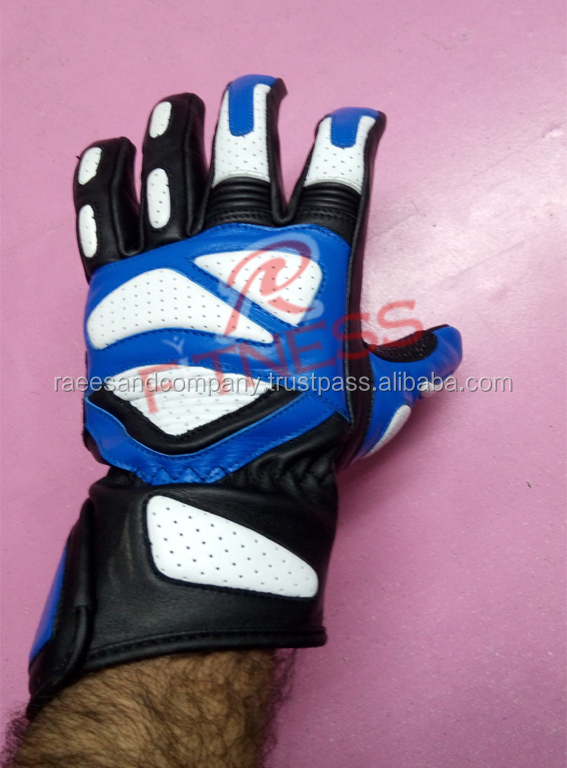 details, logo or brand name with the gloves. 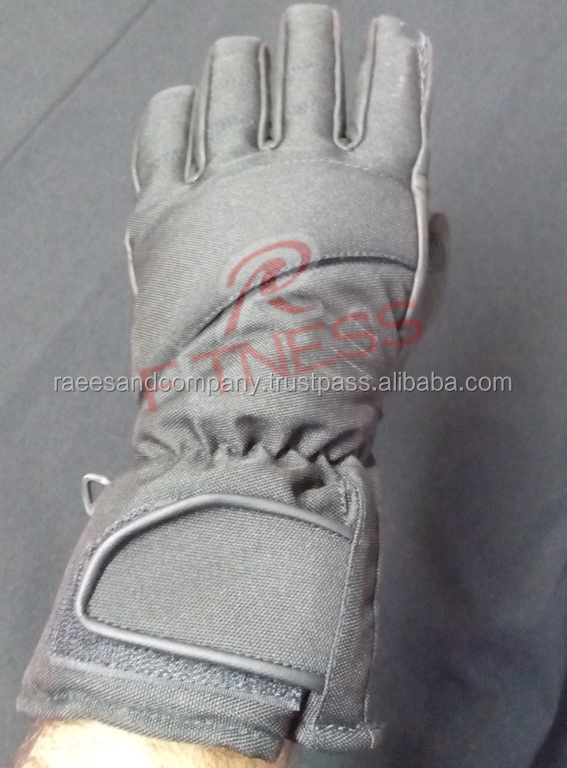 designed gloves samples in stock we can send you samples at sufficient cost for quality check. 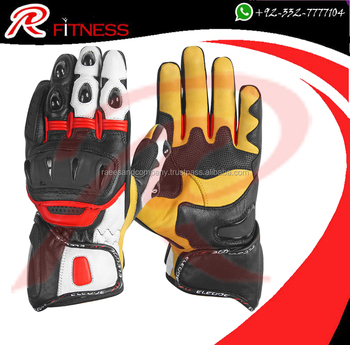 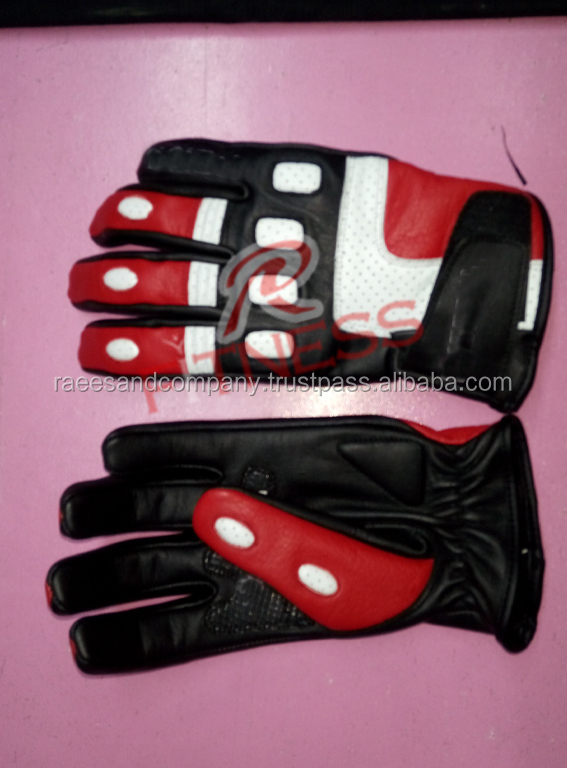 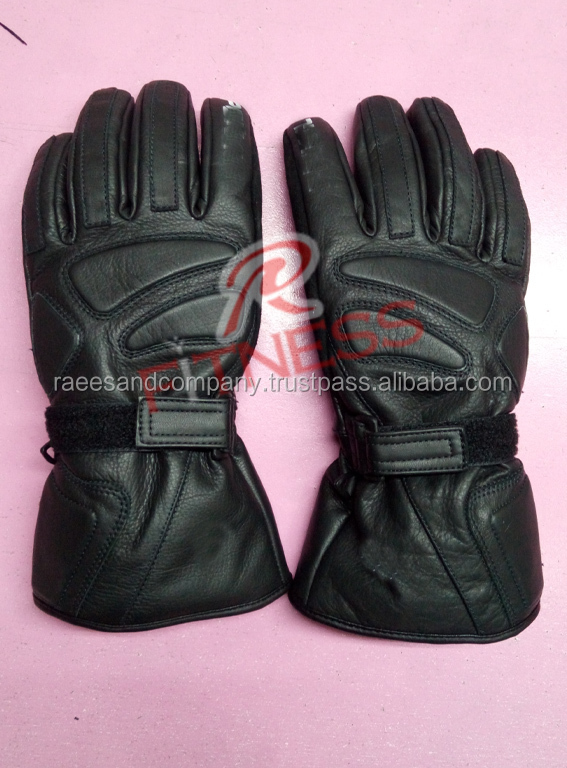 We are manufacturer of all kinds of Motorbike Gloves, Martial arts, Boxing gear, weight lifting gear & Fitness wear.